Cox Communications is backing down from its ambitious plan to build its own 3G cellular network, saying on Tuesday that it will decommission its infrastructure and use Sprint Nextel's network to provide its subscribers with a branded mobile service. In 2008, the cable operator announced it would introduce a mobile service the following year, starting out on Sprint's 3G (third-generation) network and eventually building its own infrastructure throughout all Cox cable service areas. The company's plan surprised some observers because of the time and investment required to build a mobile network. Other U.S. cable operators, including Comcast and Time Warner Cable, rely on wholesale arrangements. In January 2010, Cox reiterated its plans, saying it would launch on Sprint's network in March of that year. Even though it had built its own network in some areas, Cox now plans to rely entirely on Sprint. "We will soon begin to decommission our 3G network to better focus on making Cox Wireless available to more than 50 percent of our footprint this year," Cox said in a written statement on Tuesday. "In continuing with our successful wholesale model for 3G wireless services, we will accomplish speed to market while achieving greater operational efficiencies from a wholesale model that continues to improve." The company had originally said the reason for building its own network was to control the entire operation, including back-office operations, support and billing. When Cox announced its mobile plans, it said subscribers would be able to use their Cox cell phones to program a home digital video recorder, watch TV shows and access content stored on home PCs. Cox turned to Huawei Technologies to build the network using EV-DO (Evolution-Data Optimized) Revision A, the same technology Sprint uses in its 3G network. Cox also acquired its own radio spectrum licenses on which to operate the service, an asset that could be valuable to another mobile operator if Cox decides to sell it. In its statement Tuesday, Cox claimed the wireless service had drawn nearly twice the number of subscribers it had forecast. 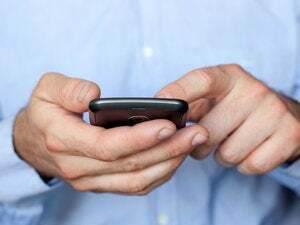 Last week the company said it was launching mobile service in Rhode Island and two other areas, making a total of eight markets covered. Cox also offers TV, broadband and wireline voice service and serves approximately 6 million households.